Fresh out of the oven! 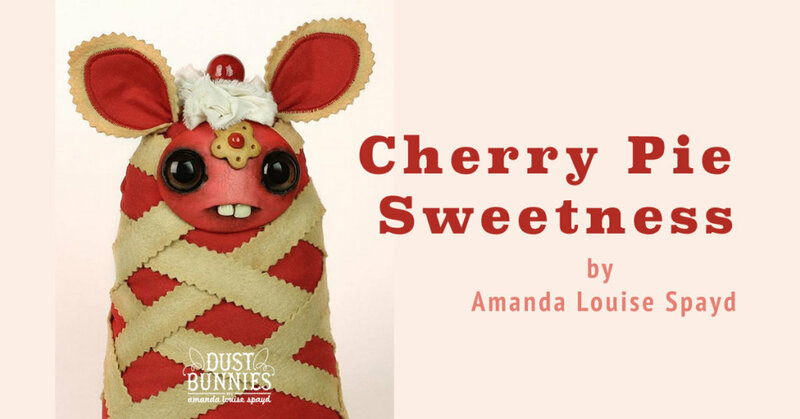 Amanda Louise Spayd has created something tasty and sweet that she will be bringing to DesignerCon this weekend. Amanda has been very busy in her studio. With just a few days to go until DesignerCon she has started sharing her creations to tease your tastebuds. Doesn’t that Cherry Pie Dust Bunny look delicious? Look at that beautiful woven crust! Other baked goodies from the oven are these little hot breads with butter on their head. All of these home-baked goodies are to be found at booth 1305 at DesignerCon. No info about how many and what price they will be. If there is anything left after the convention they will be available online. Follow Amanda Louise Spayd on Facebook and Instagram for more info about her latest work.